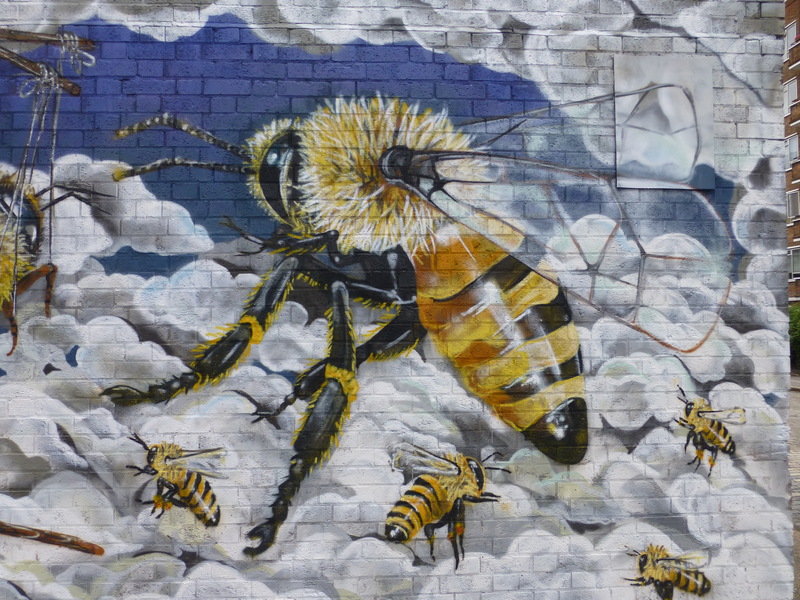 The other week in the couple of days preceding the Whitecross Street Party artist Louis Masai was on the scene to put up a more permanent piece to rest alongside the several pieces dotted along Whitecross Street, in this case in the Peabody Estate which sits just off of the Street. 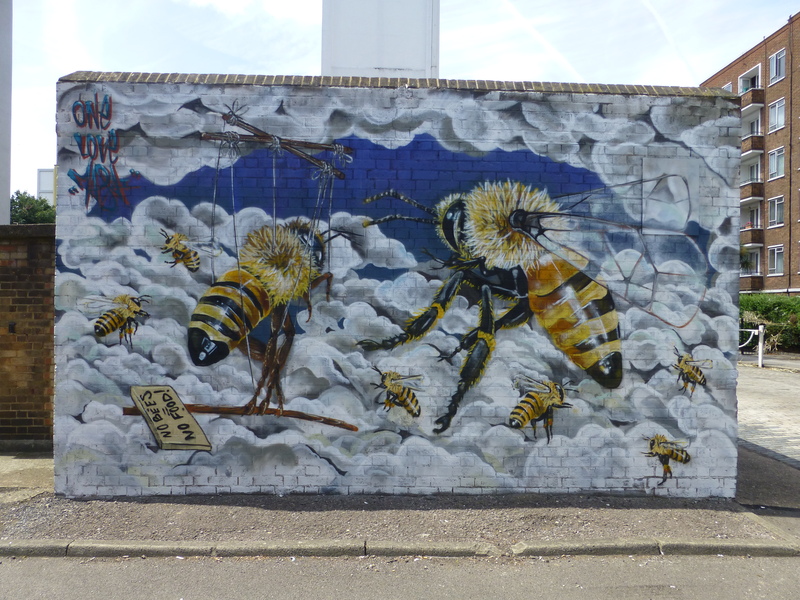 For this work Louis Masai was working to a recurring theme of his in recent years, that of ‘Save The Bees’, an erstwhile cause indeed and one excellent represented in Louis Masai’s freshest London work. 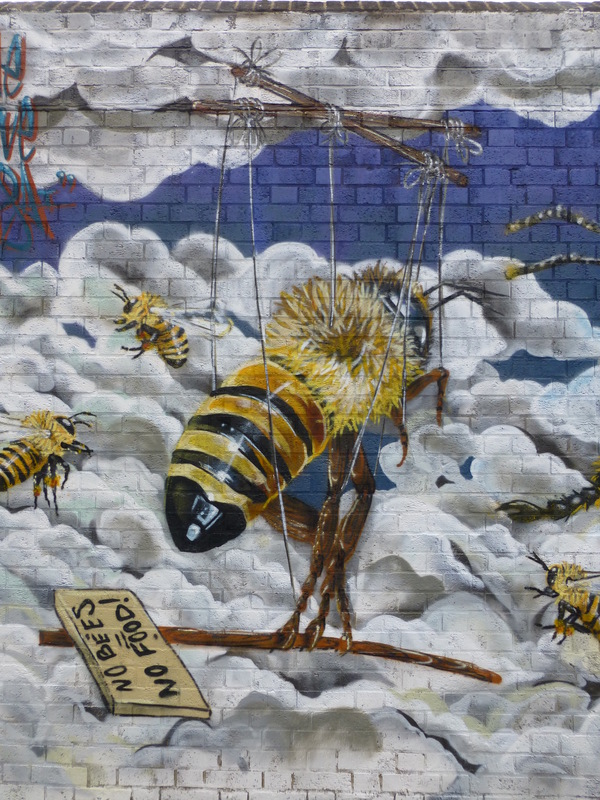 For this piece the bees are set amidst a cloud-fuelled sky scene and the piece is dominated by two larger bees with the one on left depicted as a marionette puppet bearing the sign ‘No Bees, No Food!’, indicating how it is humans controlling the future of the bees. Stunning. 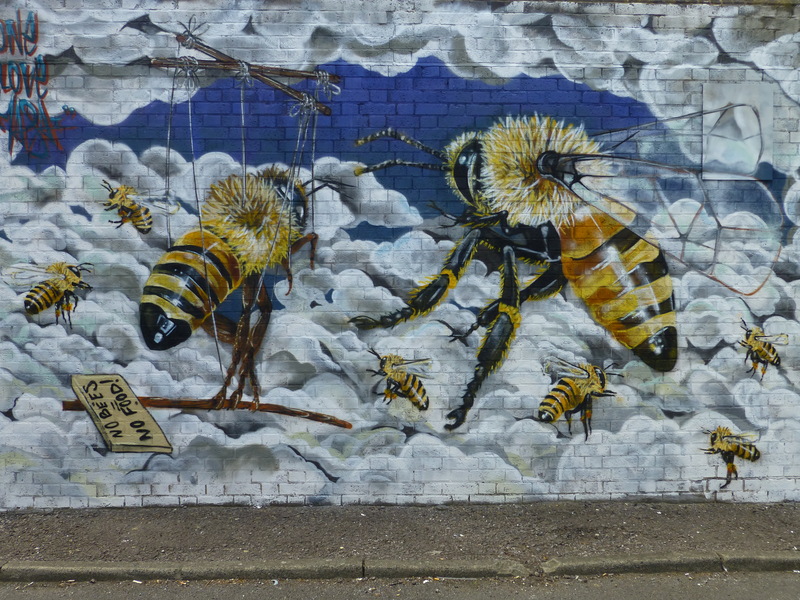 And just as they demolished his Save the Bees mural off Hackney Road in the car park. Went last week. Yeah it is stunning Tanyanash, and I had seen the construction works setting up in Hackney Road a couple of weeks ago, but didn’t know the walls, including the superb Louis Masai & Jim Vision work had gone, thanks for notifying us of this sad loss to further gentrification.